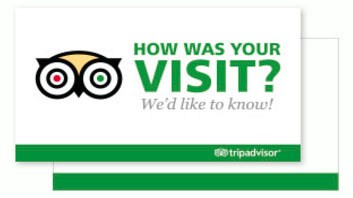 TripAdvisor: The key to your success or, the key to your demise? Home / Digital Marketing / TripAdvisor: The key to your success or, the key to your demise? For businesses with largely transient customer bases like tourists, understanding what TripAdvisor is and how to manage it can be a make or break factor for their success. Transient customers by their nature cannot be repeat customers, so new customers must always be found. TripAdvisor and its counterparts are increasingly one of the largest factors that influence the flow of these new customers. As much as 87% of consumers are now influenced by reviews on a regular basis when selecting a business or product. To understand why reviews are so important, the characteristics of the transient consumer must be understood. The primary characteristic? Their risk adverse. All consumers are risk adverse with some of their purchases, but the barrier for risk aversion is much lower for tourists. This means they have a tendency to research their purchases and activities before committing to them, regardless of their price. For tourists, time is also finite and every activity has an opportunity cost. They have limited time, so they want every experience to be the best it can be. Whereas a local customer would just shrug off a bad experience, a tourist will do everything they possibly can to avoid one. 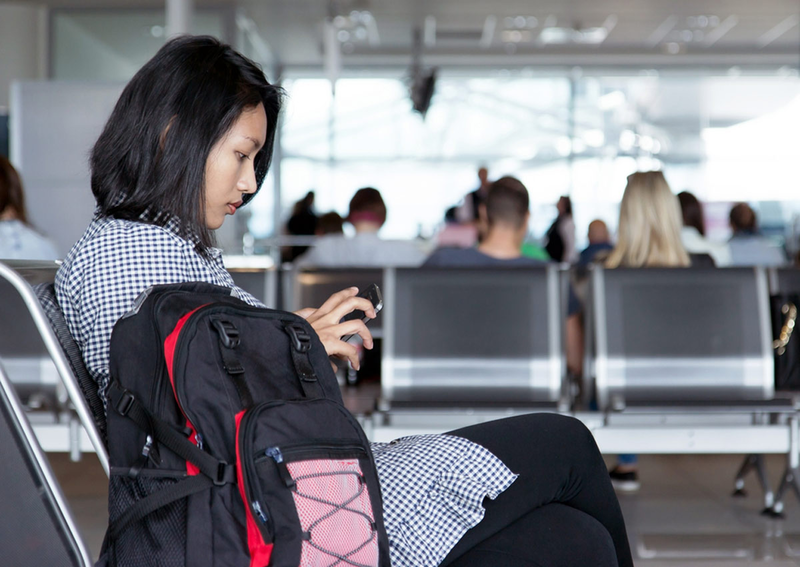 This makes online reviews a crucial aspect of online marketing, but some tourist-dependent businesses continue to fail to engage with customer reviews and feedback online. Businesses should think about the double standard that they have for their reputation. A lot of effort and risk goes into running a business. So when a customer complains in store, it sometimes feels like it’s a personal attack, and other times its something owners and staff want to help fix ASAP. So why should online be treated any differently by business owners? Customers treat it differently, they don’t hold back because they’re free from reprimand. But because businesses either neglect or dismiss reviews on TripAdvisor, future potential customers researching a business are left with only one sided stories when they read reviews of businesses, regardless of their truth or fairness. TripAdvisor and its counterparts are disruptive for many small businesses because their presence on these review platforms is involuntary, it forces businesses to engage online in ways they otherwise would not do. But at the end of the day, customer feedback is customer feedback, it has value in the insights it provides. After all, you ideally want to be able to reply to every negative review with a rational rebuke, not pretend that the underlying issues behind their reviews don’t exist. Take note of any trends in the negative reviews, are any of these issues a communication issue rather than an issue with the actual product or experience? Is the frequency of negative reviews increasing or declining? But don’t just focus on the negative, can any of the aspects of a positive review be more frequently replicated? A big failing of tourism-oriented businesses is that they fail to manage customer expectations. Now the logic behind this is sometimes that businesses don’t want to risk their businesses getting fewer customers but the stories are out there. Customers want an authentic experience. So honesty is key. But often poor reviews on TripAdvisor and alike are the result of poor communication with the customer. This is particularly true for seasonal business. Often when you look at poor reviews the issue is not the product or service itself but poor communication. This poor communication can be avoided by providing better, more up to date information on the operator’s website. The common culprits are opening hours, availability, price and the product itself. A big problem that some tourism operators unknowingly face is that customers have a tendency to review a business when their experience has been exceptionally great or exceptionally bad. For the other customers that go through a business day after day, the experience is good but not so good as to take the time to leave a positive review. On the other side of the coin, a customer that has a had what they perceive to be a bad experience will go out of their way to leave a bad review. So the challenge for businesses is to help make it as easy as possible for happy customers to leave a review. The simplest method? 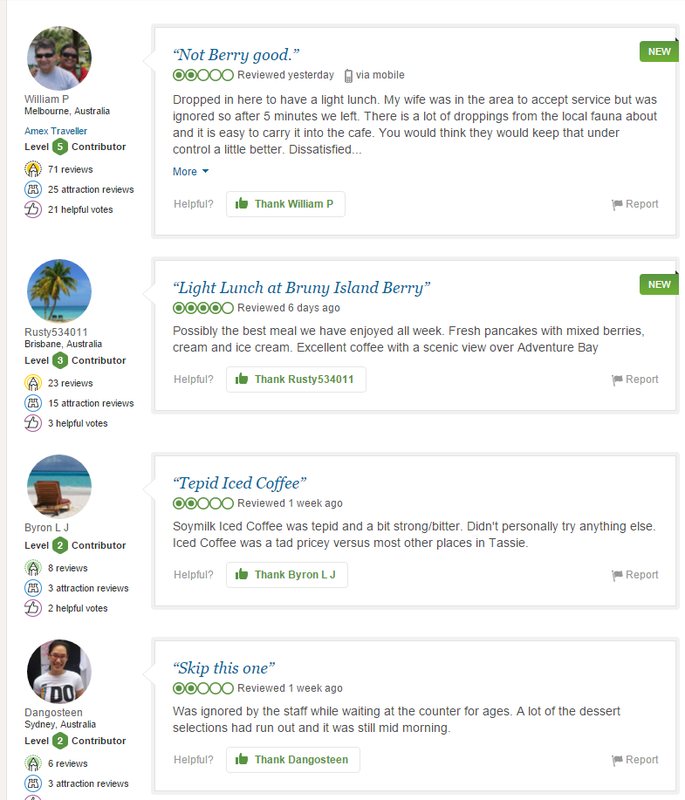 TripAdvisor actually allows you to order custom “leave a review” cards for your business from their website. You can then provide these to customers to help encourage them to leave a review. If you want to streamline the process even further, you can add the ability for customers to leave a review on TripAdvisor via your website. This approach is great not only for the extra reviews it creates but it also acts as a social proof where it shows future customers that you are transparent and serious about providing a high a quality experience. In addition to encouraging a greater number of satisfied customers to leave reviews on external websites, business owners can also source positive reviews from TripAdvisor and other review sources and aggregate them on their website. This gives businesses an opportunity to put the true customer experience in front of future potential customers without the noise of the negative reviews of a very small portion of your customer base. There is a lot of variance in the statistics behind the importance of reviews but the lowest I have found suggests that 67% of customers are influenced by reviews. In another survey, it was found that 88% of customers were influenced by online reviews. Its understandable that these statistics might seem high but they do make sense. Why? Because when a customer is looking for information about a business, 50% of them never go beyond the first page. This is the key to understanding the significance of reviews and websites like TripAdvisor. Google lists reviews on the right of most search results for a business by name while review sites like TripAdvisor normally rank high in search results. In other words, not all customers influenced by reviews have to actively seek them out. In the example below, you can see that for this tourism operator, customers are looking for reviews so much that Google predicts the search term. Its just two reviews, but the seed of doubt has been placed in the potential customer’s mind. But of course, this is a long time running business, but the 100s of happy customers and their experiences are nowhere to be found, only the negative is present. 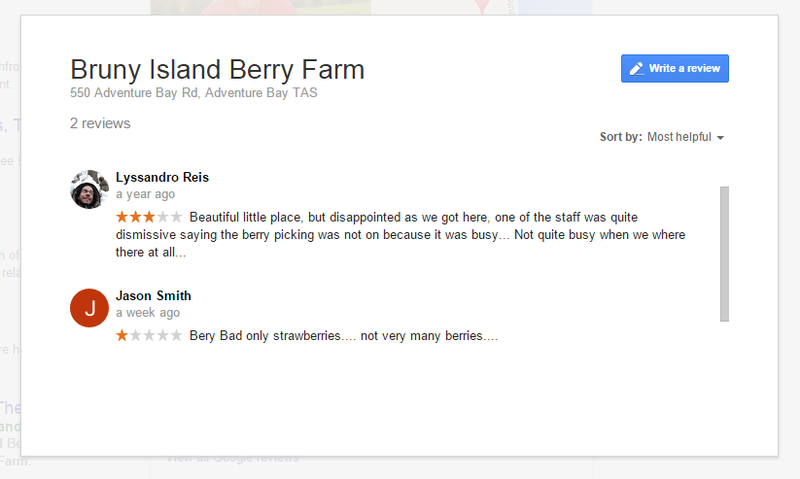 So they search for the business name + TripAdvisor, and they find yet more negative reviews with reoccurring themes. Research suggests that once a consumer starts reading reviews they will typically read an average of 10. In the example above, 3 out of the 4 of the first reviews listed are negative and deter a customer from becoming a customer. But the customer will read ever more negative reviews further enforcing a negative view of the business. One important factor to consider here is also the propensity of tourists to travel in groups of 2 or more. When you combine this with the other stats, the probability that 1 person in a group of 4 for example, will not read these reviews is next to none. But it doesn’t have to be all negative, research suggests that 70% of consumers view reviews as the second most trusted form of advertising. So there are benefits to TripAdvisor and other services like it. It is just a matter of maintaining a favorable image on these review sites. TripAdvisor and other review sites like them matter, and their relevance is only going to increase. Both in the minds of customers but also from the perspective of search engines, as reviews are increasingly used as a ranking factor to determine the visibility of websites in search results because they represent highly relevant social proof of a business’s quality. So its essential to understand the importance of online reviews and to begin to manage them and to monitor reoccurring themes, remember this is real customer feedback. To improve your business’s reviews you want to manage customer expectations better and provide high quality, up to date content on your website and social media presences to avoid any misunderstandings. You also want to reply to each review negative or positive so that future potential customers can see that you care about providing a quality experience. Finally, you want to bring the positive experiences to the surface by encouraging customers that otherwise wouldn’t leave a review to do so. Take charge of your online reputation and make it something that contributes to your business’s success, not its demise. Originally published on the 9th of September 2016, updated October 28 2017. Great post, getting bloody tired of the reviews my cafe is getting on Trip. Do you offer any kind of review management service? Had a look around your site and this post doesn’t seem to have anything to do with what what your business actually does! We don’t offically offer any review management services at the moment. But it’s something we are looking at packaging with our social media management service in the very near future. If you’d like to have a chat with us about helping your business with review sites, send me an email, callum@aictechnologies.com.au and we can put something together just for you.